Holo-Walls was launched by entertainment industry veteran, Kevin McCarthy in 2002. Having spent close to 25 years in the laser and special effects business, Kevin knew it was time to introduce a new product and a new way of delivering eye catching effects for all areas of entertainment. It started with holographic wallpaper and went from there. 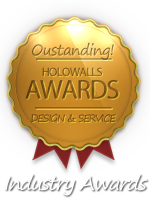 With the development of unique holographic film and display products and working closely with manufacturers and key suppliers Holo-Walls was able to develop and bring to market usable relevant and one-of-a-kind products that took the industry by storm. Sales of these products began as a local source for events and parties that grew to become a global supplier of films and film product now commonly used as decor for almost any application imaginable. Over the past few years the product line has greatly expanded. Using advanced methods in lamination techniques. our spectral patterns create a unique inexpensive visually stunning dimensional effect unlike anythng else on the market today. All patterns react extra-ordinarily well to all types of lighting as well as being "self-illuminating" and will transform any room, stage, display, wall, exhibit or set into an eye-popping environment that immerses audiences into a kaleidoscopic world of rich colors and fantastic patterns. 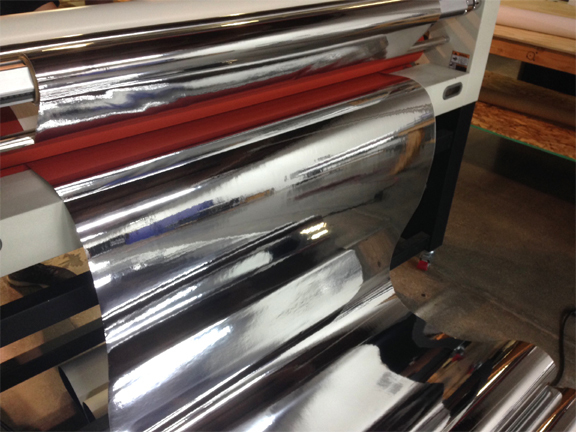 Our line of Steel Wall films are an excellent alternative to real metal. Kevin also mentions, "It's important to fully explore our product lines to learn and understand all that HoloWalls has to offer, and the numerous applications where our films and products can used." If your objective is to be different and stand out from the crowd then our films will provide you with the energy, power, innovation and excitement needed to break out from the ordinary. Custom fabrication is our specialty and we will work close with you to insure the best possible results with our exceptional products. Take a Leap Beyond Ordinary! "I wanted to reach out after my daughters party to let you know how perfect the vinyl flooring made the dance floor look. I was concerned about the installation because I had never used it before, but your instructions were perfect and the vinyl was installed without any issues. Very few things are better than expected, but this flooring with the custom logo was far beyond my expectations. Thanks for everything. Neil"